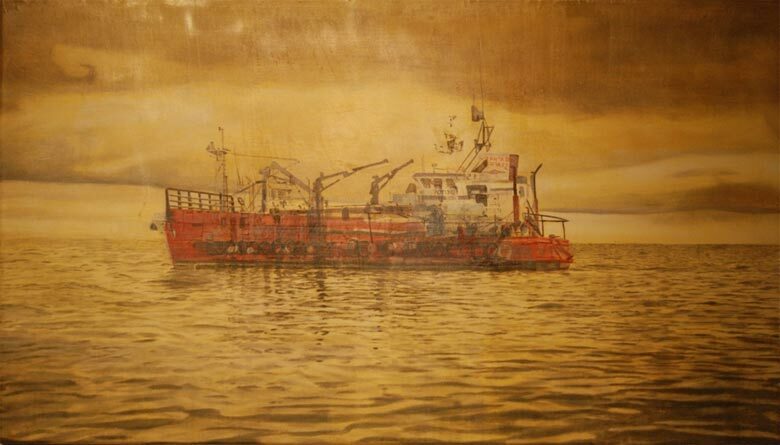 Evidently, Machado will be sharing works of “an Alaskan salmon fishing season,” but let’s take a look at some of his older pieces to get a sense of what just what he does. His paintings, which utilize gouache, oil, and watercolor, are often comprised of layers of fiberglass cloth and epoxy, which give the pieces a ghostly quality of transience. As for Todd Freeman, hand-colored copper etchings and drawings recall illustrations from old science textbooks and children’s books. Set against cream and earth-colored paper, these brand new works feel like relics that one might find in an abandoned house that’s falling apart at the seams.